The reason I chose to highlight this specific alternative solution is because guaifenesin for fibromyalgia is in my opinion, one the most exciting and effective treatment options used today. I believe this treatment requires the most discipline; but consequently it bears the most fruit. It's truly amazing! After countless visits with doctors and specialists, and after years of reading books, magazines, and other publications, I stumbled upon a book written by Dr R Paul St Amand called “What your doctor may not tell you about fibromyalgia”. He's an endocrinologist and UCLA clinical professor of medicine who practices in Marina Del Rey, California. Dr. St Amand and his nurse Claudia Craig Marek, who is also co-author of the book, have been able to successfully treat this illness by using a natural supplement by the name of guaifenesin. In the book, they share their long and fascinating journey towards discovering that guaifenesin for fibromyalgia is extremely effective in reversing this disease. They offer an eloquent and sometimes humorous explanation of its discovery and evolution. This led them to create the guaifenesin protocol. Believe me when I say; this book was like reading a journal of my life with fibromyalgia. All of the strange and debilitating symptoms you may be experiencing are mentioned, and with a very interesting and compelling reason for their existence. The moment I read the first few chapters of this book, I knew this was going to change my life forever. I strongly urge you to read it as well. The name guaifenesin comes from the word "guaiacum" which was first used in the year 1530 to help treat gout and rheumatism. 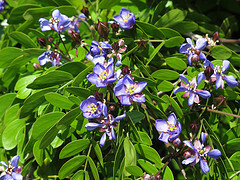 Guaifenesin contains bark extract from the guaiacum tree. It has no side effects and is used in cough suppressants to help loosen mucus. It can be purchased over the counter at many different retailers but is only effective in certain forms and dosages. In essence, Dr St Amand believes that if you have fibromyalgia, your kidneys are not able to perform their normal function of excreting sufficient amounts of phosphates from the body. When this happens, these phosphates combine with calcium and form deposits in surrounding muscle tissue, ligaments, and joints. These deposits may lie dormant for quite some time, but eventually start pushing on the nerve endings causing your muscles to contract and spasm. These disruptions begin to effect many different areas of the body which begin the dreaded symptoms associated with fibromyalgia. Guaifenesin treatment for fibromyalgia helps restore your body’s natural process, and allows the kidneys to eliminate these deposits. As long as you strictly adhere to the protocol, guaifenesin can begin to reverse the disease within days. Dr St Amand's theory as to how this disease progresses is from over 50 years of research treating patients and prescribing many different forms of medications. Eventually he discovered that guaifenesin for fibromyalgia was the safest and most successful treatment to date. He and Claudia have also written other related books on the subject that focus on fibromyalgia fatigue, pediatric fibromyalgia, and the first year after being diagnosed. I truly believe that the fibromyalgia and guaifenesin link Dr St Amand discovered is one of the greatest breakthroughs ever developed. The fact that such a common natural supplement that's easily available to everyone over the counter is quite amazing! Click to read about the Guaifenesin Protocol.